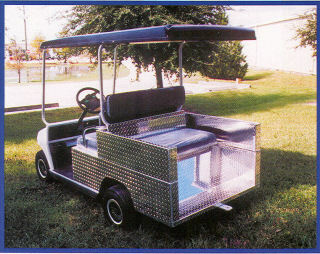 Hauler Bodies and Ambulance Bodies - Kent Manufacturing of Venice, Inc.
All aluminum hauler bodies install easily on any golf car by just removing the rear body and bolting the new unit on. Available for gas or electric cars. Please choose from fold down seat or hinged dump bed model. 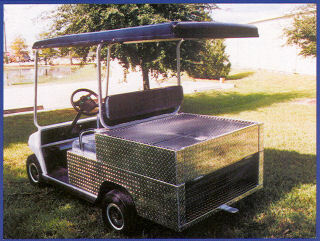 Custom hauler bodies available, just give us your specifications. Call 800-330-5368 or email info@kentmfg.com.